According to German sources, 68,482 Jews lived in Krakow and the surrounding villages, in November 1939. It was one of the largest Jewish communities in Poland. Most of the Krakow Jews lived in the historical Jewish district Kazimierz but from 1867, many Jewish families had lived and had their own businesses throughout the entire city. Even today one can visit old Jewish houses and the synagogue in Kazimierz. It is the only historical Jewish district in a large Polish conurbation that was not destroyed during the war. On 6 September 1939, Krakow was captured by German troops. The city became the capital of the newly established Generalgouvernement, led by Generalgouverneur Hans Frank. He chose the famous Wawel Castle as his residence. Very soon the Nazis ordered all synagogues closed and the establishment of a Judenrat. The first president of the Judenrat was Marek Biberstein, a well-known Jewish teacher and social activist. SS-Oberscharführer Paul Siebert, who appointed the members of the Judenrat, told them to fulfil the German orders with absolute obedience and accuracy. One of the first SS orders was to deliver all valuables and historical artefacts from Krakow's synagogues. In 1940 the Jewish ghetto police was established, headed by Symche Spira. Before the war he was a carpenter and an Orthodox Jew, who did not speak Polish or German fluently. He became the best-known collaborator of the SS and Gestapo. From November 1939, all Jews aged 12 years or older had to wear armbands. According to Jewish sources the Judenrat sold 53,828 armbands bearing the Star of David. 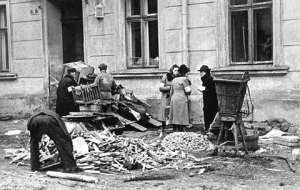 Jewish homes and shops were looted; SS and Wehrmacht troops even blocked off entire streets to do this. The best Jewish apartments were confiscated for German officers' and officials' families. The houses of the Jewish community were also confiscated. German soldiers moved into the modern dormitory of the Jewish Academic Society and the old peoples home. Many young Jewish men were sent to forced labour camps in small towns and villages of the Krakow district. In April 1940, Hans Frank announced that Krakow should become the "cleanest" city in the Generalgouvernement - that is, without Jews. Therefore on 18 May 1940, the Nazis ordered the resettlement of a large part of the Jewish population. According to this order only 15,000 working Jews were permitted to stay in the town, together with their families. By 15 August 1940, many Jews had been resettled from Krakow, mainly to towns and villages around the capital. 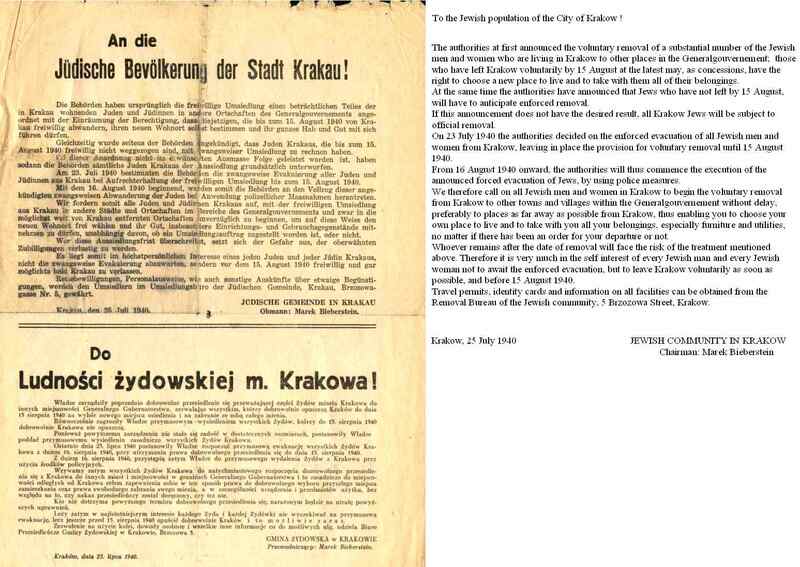 Because it was intended that even more Krakow Jews should be resettled, members of the Judenrat tried to bribe the Stadthauptmannschaft official who was responsible for resettlement. Therefore Marek Biberstein, several other members of the Judenrat and the German official were arrested. Marek Biberstein was imprisoned in Krakow and Tarnow until 1942. The Krakow advocate Dr Artur Rosenzweig was forced to take over the new leadership of the Judenrat. Rosenzweig was a very modest person who often refused collaboration with the SS. After his release Marek Biberstein was killed in the Plaszow forced labour camp in 1944. In autumn 1940, the next wave of resettlement occurred. More than 5,000 Krakow Jews were resettled to the Lublin district. Others tried to find new homes in the surroundings of Krakow. By the end of March 1941, around 41,000 Jews in total had been resettled. On 3 March 1941 the governor of the Krakow district, Dr Otto Wächter, ordered the establishment of a ghetto in Krakow. "We travelled over the Vistula river like many other families. On one side of the bridge we came from Podgorze, on the other side the Jews came from Kazimierz. I remember the silence of this removal... The silence changed into mourning and sighs." 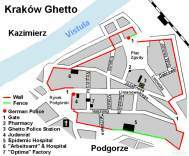 The ghetto territory covered an area of 20 hectares, and included 15 streets and 320 houses with 3,167 rooms. A wall in the style of Jewish tombstones and a wooden fence (partially) surrounded the ghetto. Otto Wächter's wife described the ghetto wall as "elegant in the Hebrew taste". All windows and doors overlooking or leading to the "Aryan" side were to be closed with bricks. Four guarded entrances were created: the main gate on Limanowski Street / Podgorski Market, others on Limanowski Street (only for army vehicles), Lwowska Street and Zgoda Square. Most of the houses were old and dilapidated. 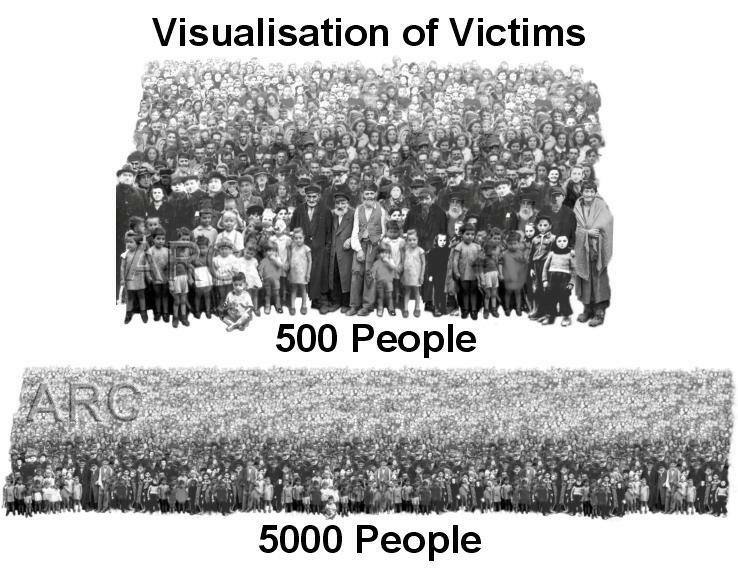 Before the war, around 3,000 inhabitants lived in the ghetto area, but now more than 15,000 people were crowded together. According to the regulations, four families had to share one flat. Alternatively one apartment window for every three people was allocated. Because of the overcrowded housing, many people spent their time in the streets. In October 1941, around 6,000 Jews from surrounding villages were sent into the ghetto. Hunger became the biggest problem, since the daily ration of bread for each person was 100 grams, with an additional 200 grams of sugar or fat provided monthly. The main food was potatoes. Most of the Jews had to work in ghetto workshops and factories, in part for the German Wehrmacht or Luftwaffe. ID cards were supplied to many Jews. 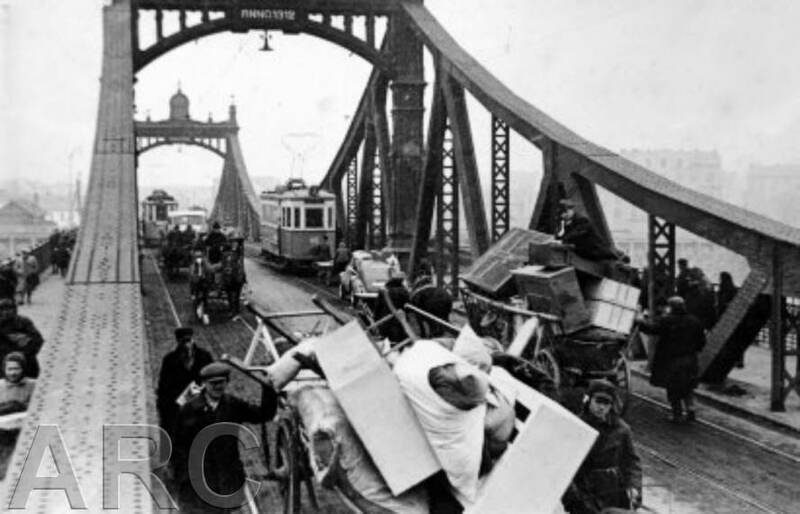 The first deportation took place between 30 May and 8 June 1942. Based entirely on their own judgement,SS-men decided who would stay in the ghetto and who would be deported. SS-Hauptsturmführer Wilhelm Kunde was responsible for this and the next deportation. On 31 May the handing over of ID cards was stopped. All persons without a card had to gather on Zgoda Square. Dr Artur Rosenzweig organized the assembly, but he did not want to participate himself in this "action". 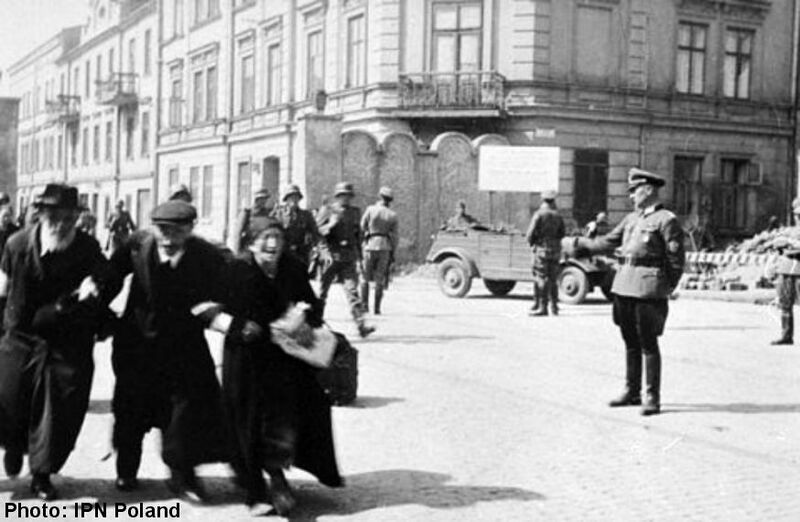 Jewish policemen, led by Symche Spira, rounded up the people in their houses and brought them to Zgoda Square. During the two first days of this "action" around 4,000 Jews were deported to Belzec death camp. The columns of deportees were led to the Plaszow Railway Station from where the overcrowded trains departed to Belzec. Officially the people were told that they were going to the Ukraine to work. Not enough people were selected for deportation to satisfy the SS. During the next days of the "action", many Jews were killed on Zgoda Square or in the streets. 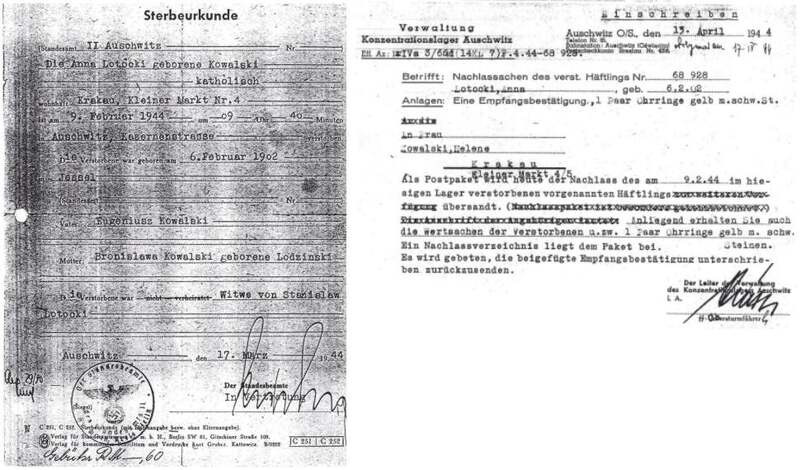 During this time, Dr Rosenzweig lost his position because of his "insufficient effort" in organizing the deportation. Kunde told him that he would be deported, together with his whole family. The same day he was sent to Belzec. Dawid Gutter became his successor. On 4 June 1942, around 600 people were killed in the ghetto. On the last day of this "action", 7,000 Jews from Miechow, Jedrzejow and Slomniki (villages near Krakow) were deported, together with Krakow Jews. Among these victims were Mordechaj Gebirtig, a famous author of Jewish folk songs and Abraham Neumann, a well-known artist and painter. Soon after the first deportations many people in the ghetto discussed the fate of their relatives and comrades. Many Jews believed that the deportees had arrived in the Ukraine, and were now living in good conditions. But several weeks later, a Pole whose Jewish wife was deported from Krakow in June, was told by Polish workers that all the people had been deported to Belzec. He informed others and the truth went around in the ghetto. At the end of June, the ghetto area was reduced. In August, Jews from surrounding towns and villages were concentrated in Wieliczka, a small town near Krakow. In late August, many of them were deported to Belzec. On 28 October 1942, the biggest and most cruel deportation took place in Krakow. In front of the Arbeitsamt (job centre) many children were taken away from their parents. Whole families of employees were selected, although everybody had assumed that these people were "privileged". Sick people and invalids were killed or deported. All children from the orphanage were shot near the town, together with their teachers and curators who voluntarily accompanied them. These "actions" were followed by many suicides. 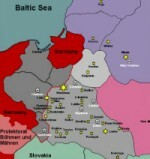 In the course of this action, around 4,500 Jews were deported to Belzec and approximately 600 were killed on the spot. 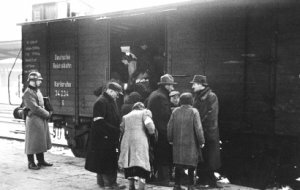 Shortly after this deportation, letters from the Lwow ghetto were sent to Krakow, informing the Jews that Belzec was the deadly terminus of the deportation trains. 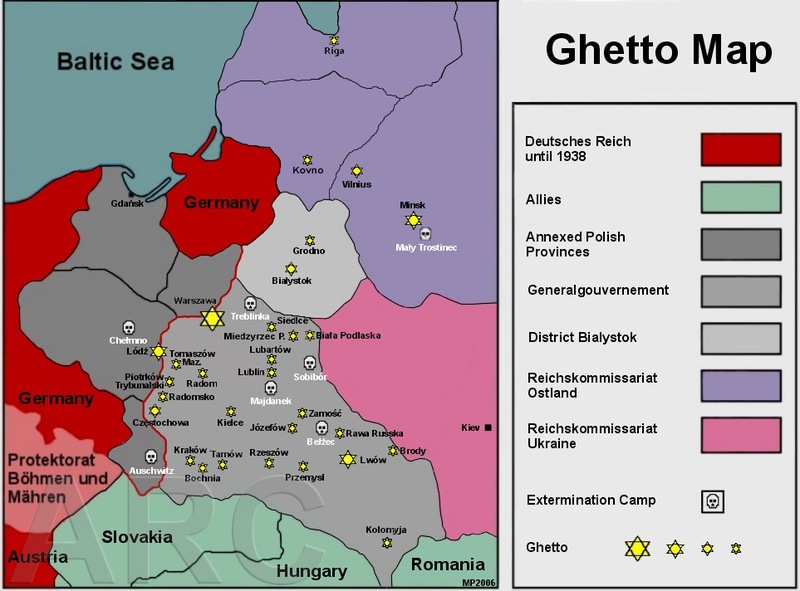 In December 1942, the ghetto was divided into two parts: "Ghetto A" for workers and "Ghetto B" for non-workers. The latter were to be deported as soon as possible. From November 1942, many Jews from the ghetto were sent to the SS forced labour camp in Plaszow, a suburb of Krakow. Among them were the Jews who worked in Oskar Schindler's enamel factory. Oskar Schindler protected his Jewish workers and helped them during the liquidation of the ghetto (see the movie "Schindler's List"). On 13 March 1943, "Ghetto A" was liquidated, and all workers were sent to Plaszow KZ. The action was personally led by SS-Untersturmführer Amon Göth, the new commandant of Plaszow concentration camp. Prior to this, Göth worked in the headquarters of Aktion Reinhard as Judenreferent (personal assistant in Globocnik's office) until early 1943. Because of a personal conflict with Hermann Höfle and his having been accused of corruption, Globocnik transferred Göth to Krakow. On 14 March, the SS liquidated "Ghetto B". Many people were killed in courtyards or in the streets. The last remaining Jews were deported in trucks to Auschwitz-Birkenau. Columns of Jewish prisoners were led to the ghetto for the collection of Jewish property, left behind in the houses. This continued until December 1943. Several weeks after the liquidation of the ghetto Jewish policemen and the last members of the Judenrat were sent to Plaszow. Dawid Gutter, head of the Judenrat, was executed there in December 1943, immediately after his arrival in the camp. Symche Spira was released from Plaszow at the request of the Gestapo, but imprisoned there again in December 1943. 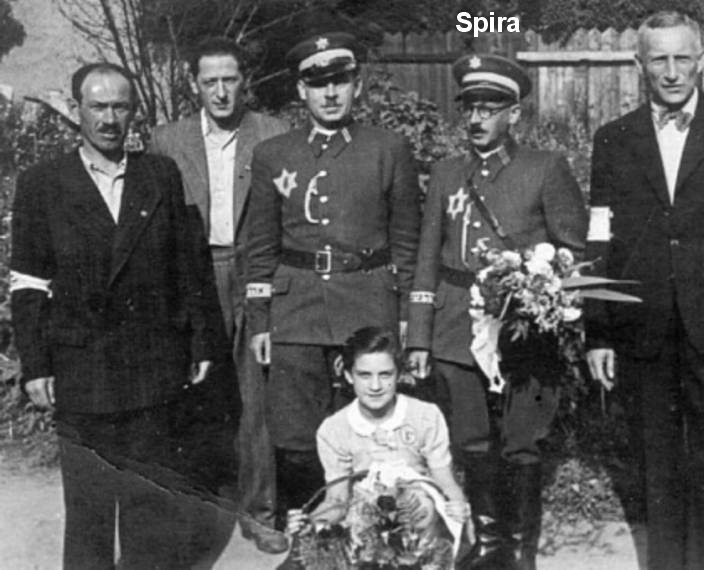 Spira, the members of the former Jewish ghetto police and their families were finally executed in 1944, as a result of a personal order of Göth. That was the last act of the Krakow ghetto tragedy. In summer 1942, a Jewish resistance group met in the ghetto. The leaders were Adolf Liebeskind, Abraham Lejbowicz, Symek Dränger and Maniek Eisenstein. Organizing a revolt was impossible, but the group helped Jews escaping to the forests. The most notable acts of resistance were a bomb attempt on the German café "Cyganeria" in December 1942, and the burning of German cars in garages on Grzegorzki Street. After the liquidation of the ghetto and the looting of Jewish property, the houses at Podgorze were taken over by poor Polish families. Today, fragments of the former ghetto wall are still visible, as well as the pharmacy "Under the Eagle" (now containing a small ghetto museum), which was situated within the ghetto itself. Its owner, Tadeusz Pankiewicz, was the only Pole living in the ghetto. A new memorial for the murdered Jews of the Podgorze Ghetto was inaugurated on 8 December 2005. Bieberstein: Zaglada Zydow w Krakowie. Krakow 1985. J. Kast, B. Siegler, P. Zinke: Das Tagebuch der Partisanin Justyna. Jüdischer Widerstand in Krakau. Berlin 1999. T. Pankiewicz: Apteka w getcie krakowskim. Krakow 2003. Articles from Krakow newspapers (mostly from the local "Gazeta Wyborcza") published in March 2003 on 60th anniversary of the liquidation of the Krakow ghetto.